This recipe was outstanding. 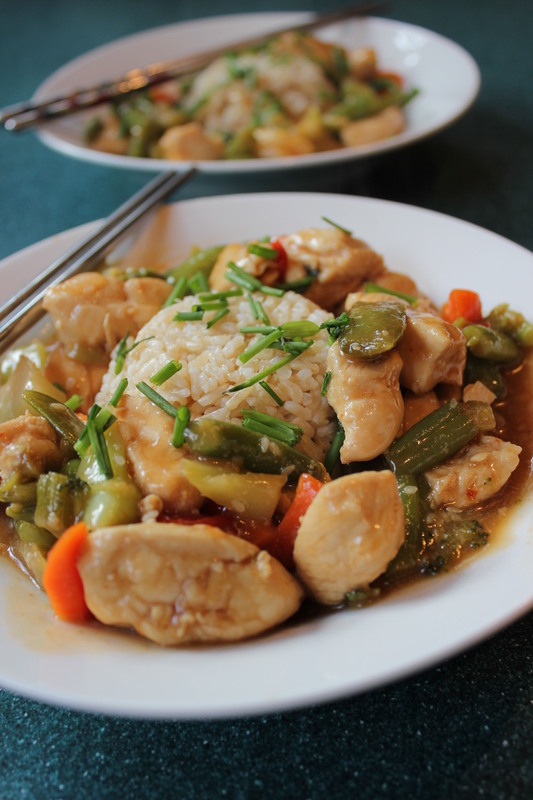 It really does taste like the authentic Chinese food without all of the fat, or the tired and heavy feeling that follows a visit to the Chinese restaurant. I increased the amount of most of the spices to my taste, including the sriracha sauce which is a type of hot sauce from Thailand. 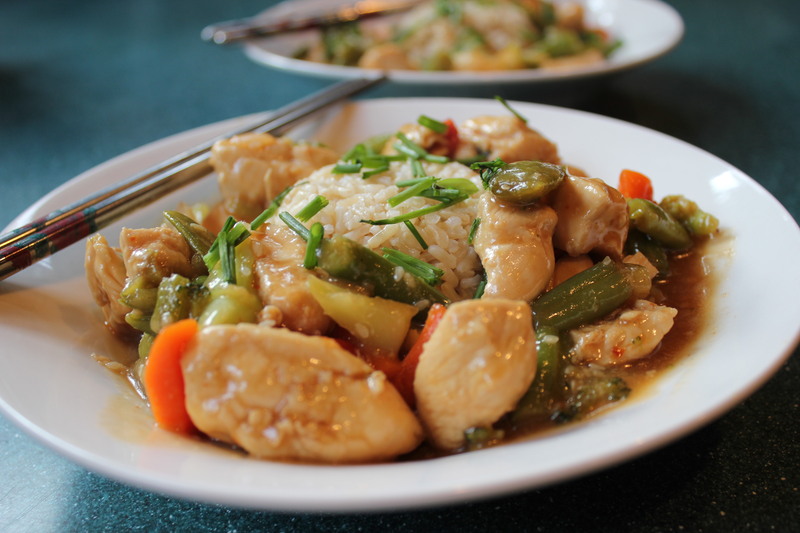 The sauce commonly used in the USA is not original to the Traditional Thai Sriracha; their sauce tends to be tangier, sweeter, and runnier in texture than non-Thai versions. The one I use is different in flavor, color, and texture from Thai versions. I love to add a bit of heat to my foods. Look it up, adding some red pepper flakes or hot sauce boosts the metabolism, how can that be bad for you? Anyway, I thought while the portion size is decent, I recommend adding a ton of veggies to this recipe which will leave you feeling really satisfied. 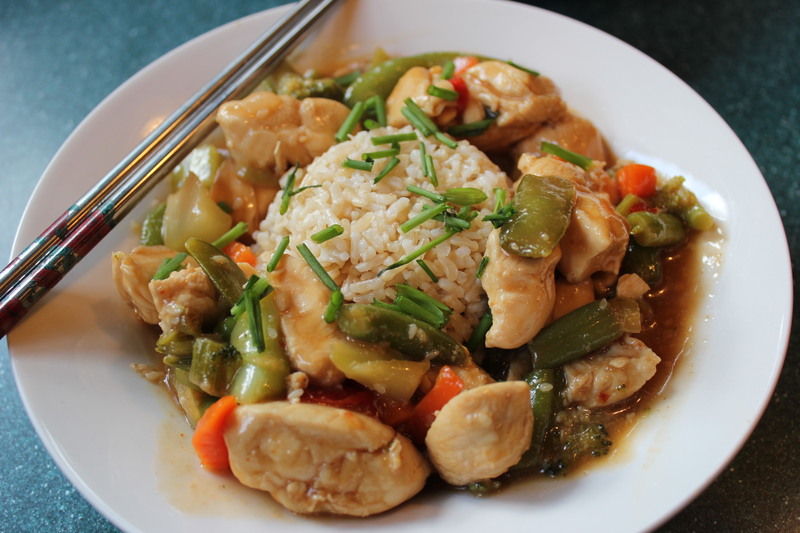 By using brown rice you still get the wonderful vehicle to soak up the sauce, just as you would with white rice, only better for you! What more could you ask for, if you’re anything like me you probably have all the ingredients on hand and can throw this beauty together at the last moment. My better Half, AKA, The Hubby loved this meal, and he knew I was making one on the fly. For the life of me I could not get motivated to think of what to make. I had left-over for lunch the next day and they were just as good the second time around. I think this would be great with shrimp or scallops in place of the chicken. This will serve four easily, so if you have only two people save it for the next day for lunch or even for a meal later in the week. 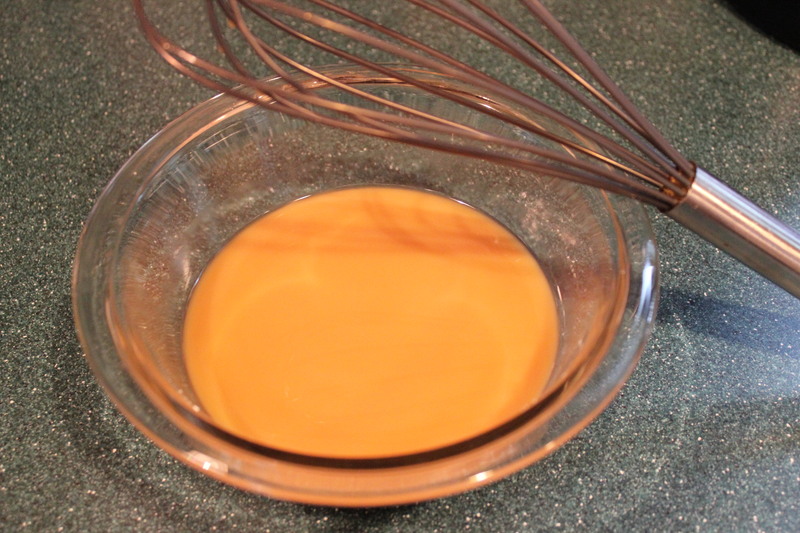 In a medium bowl, whisk together broth, cornstarch, sugar (both brown and white), soy sauce, vinegar and ginger; set aside. 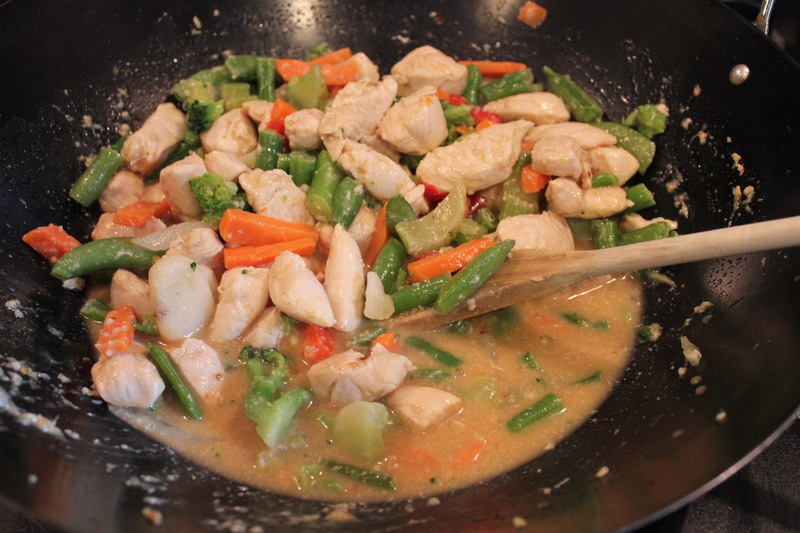 Heat oil in a wok or large skillet over medium-high heat. 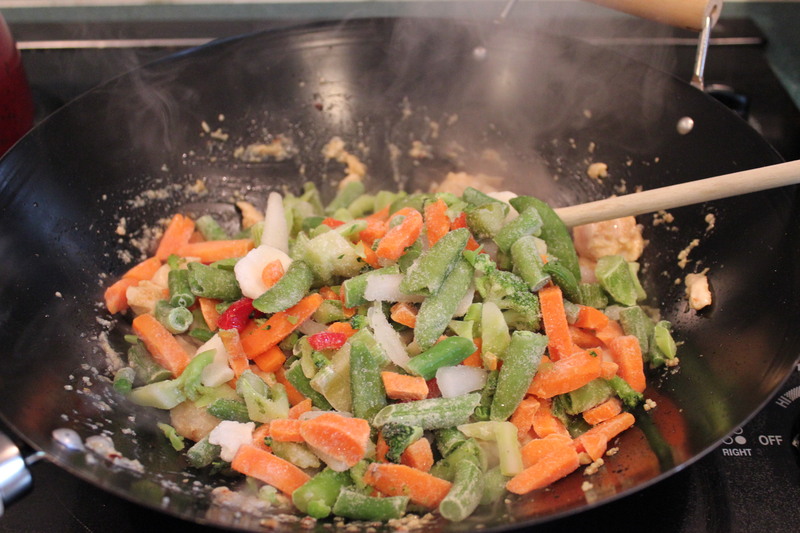 Add scallions, garlic, sesame seeds and red pepper flakes; cook, stirring frequently, 2 minutes. 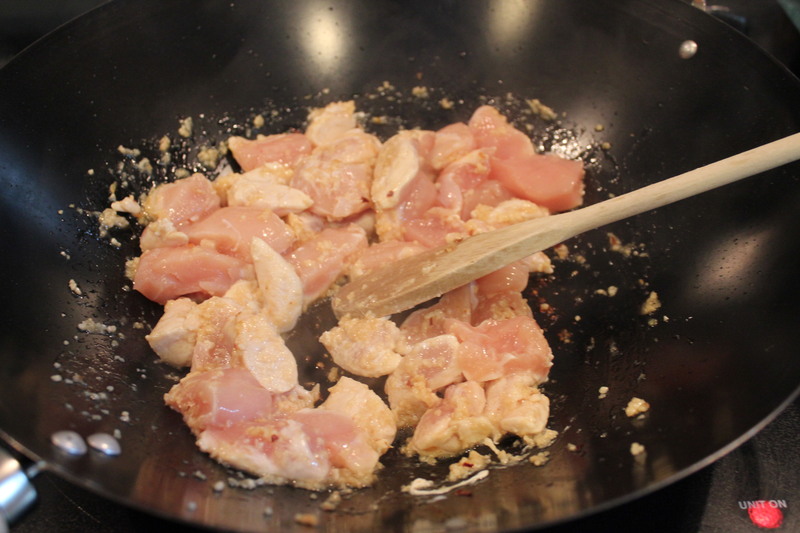 Add chicken; sauté until browned all over, about 5 minutes. Add the frozen veggies and add reserved sauce to pan and simmer until sauce thickens and veggies are warmed through, about 3 minutes. Could a meal get any easier?? I mean come on it is like eating out, and you have the pleasure of knowing you made this yourself! Enjoy the recipe, and let me know what type of feedback you have for me.